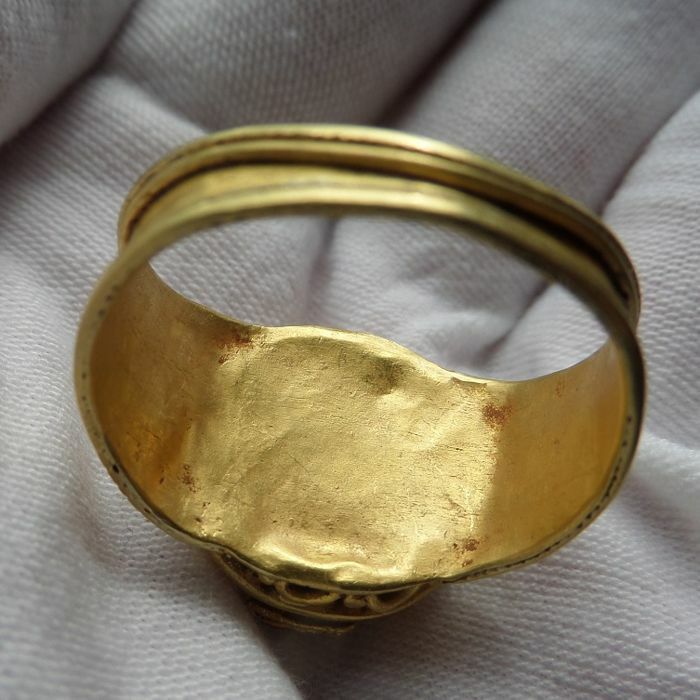 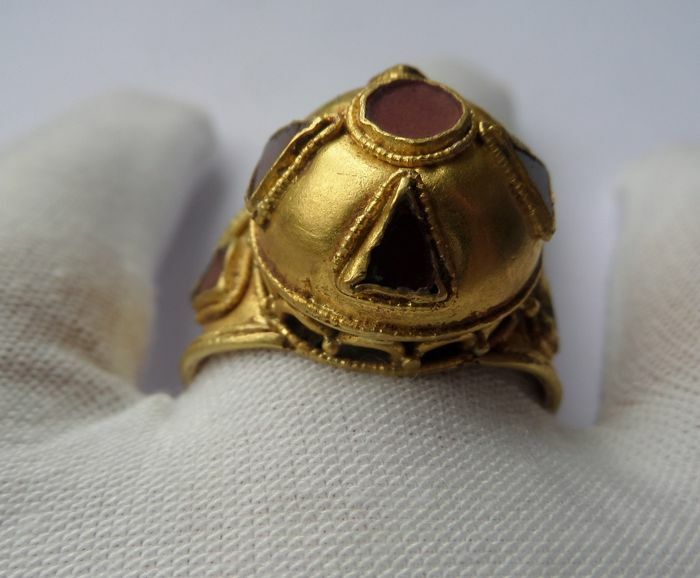 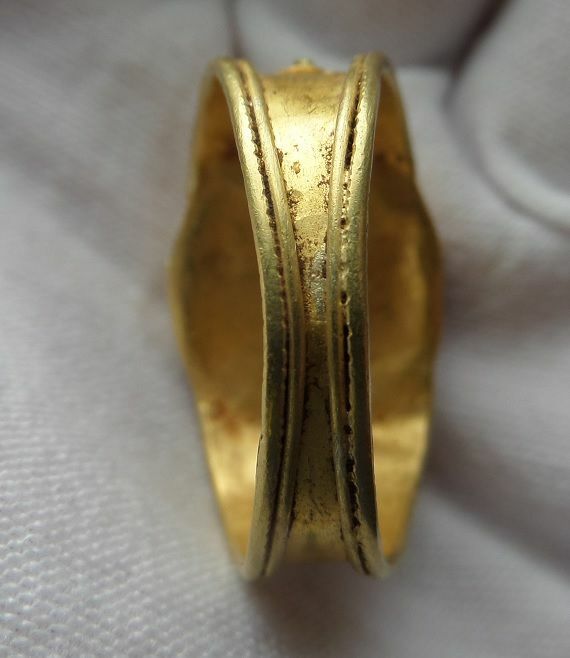 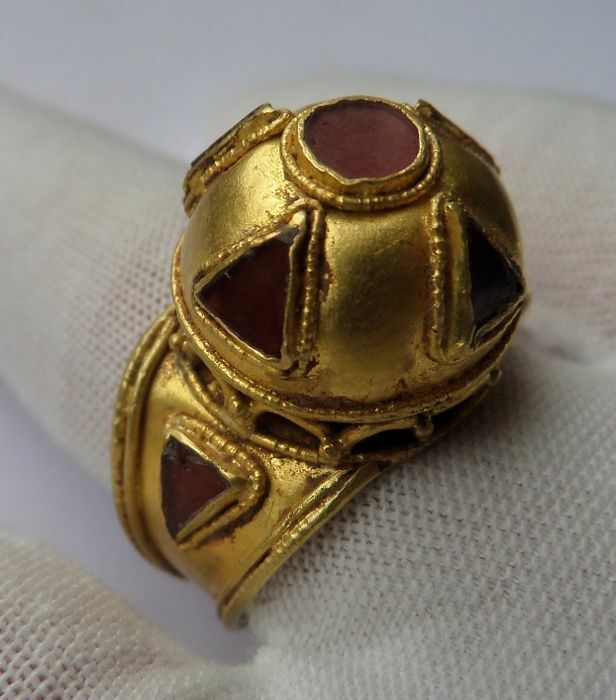 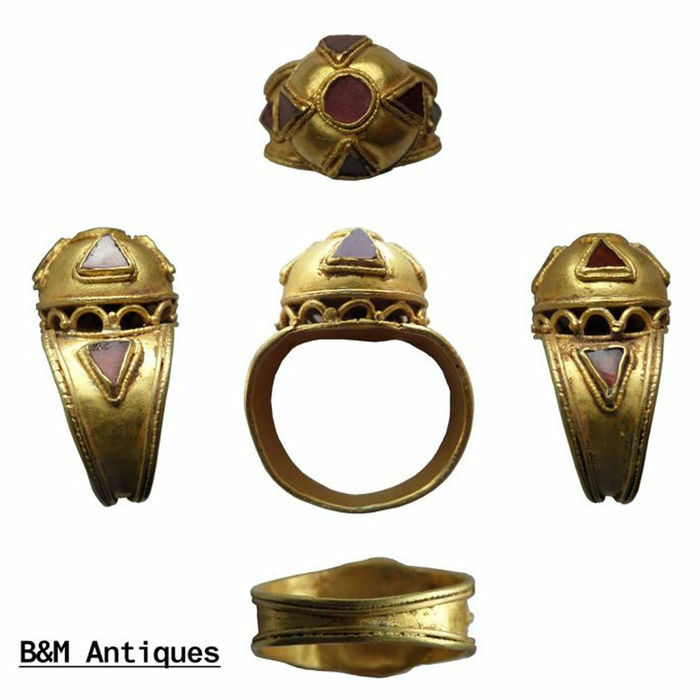 A perfect quality, Merovingian period architectural gold ring. 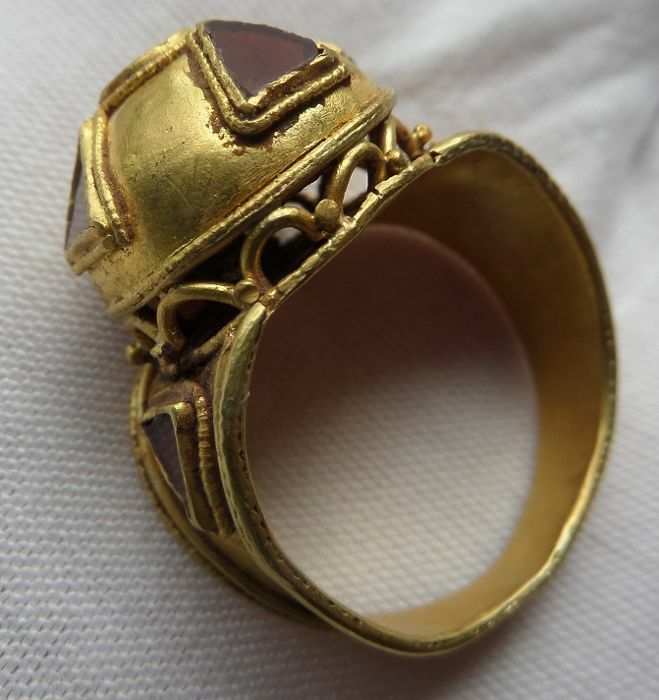 This type of ring is termed “architectural” since the tal dome-shaped bezel resembles a church. 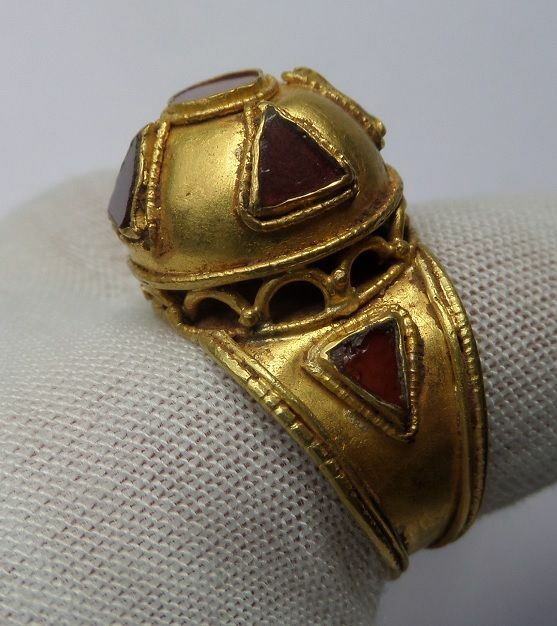 The bezel is set with 4 traingle-shaped flat cut garnets and one round-shaped flat cut garnet in the middle. 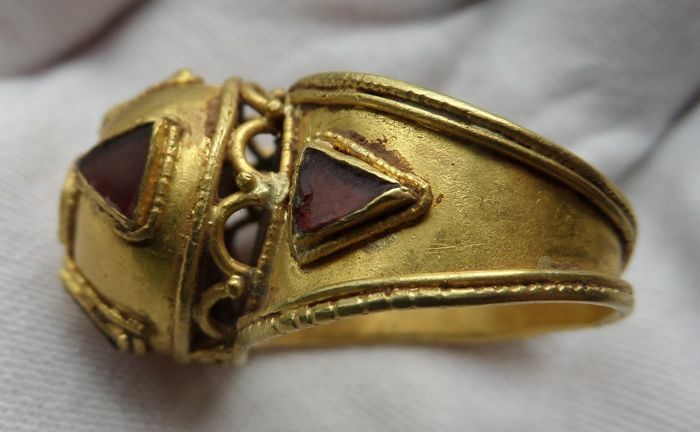 On the shoulders of the hoop are 2 triangle-shaped flat cut garnets. 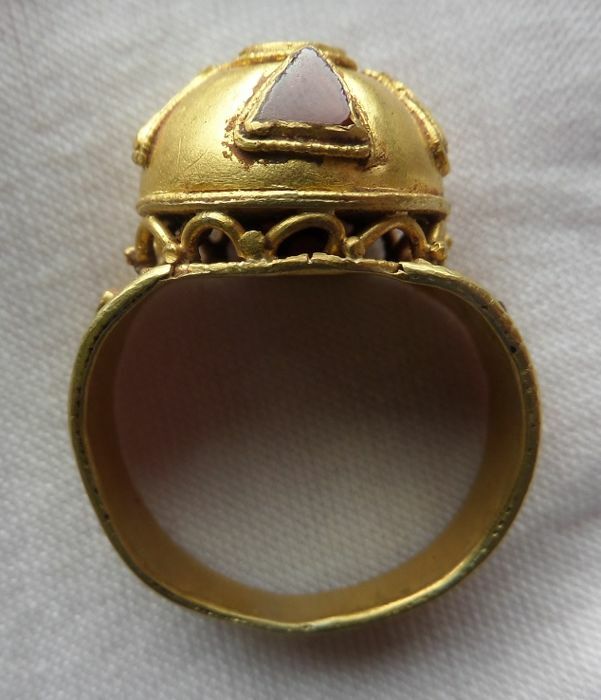 The structure of the bezel featuring repeating archways made of goldwire. 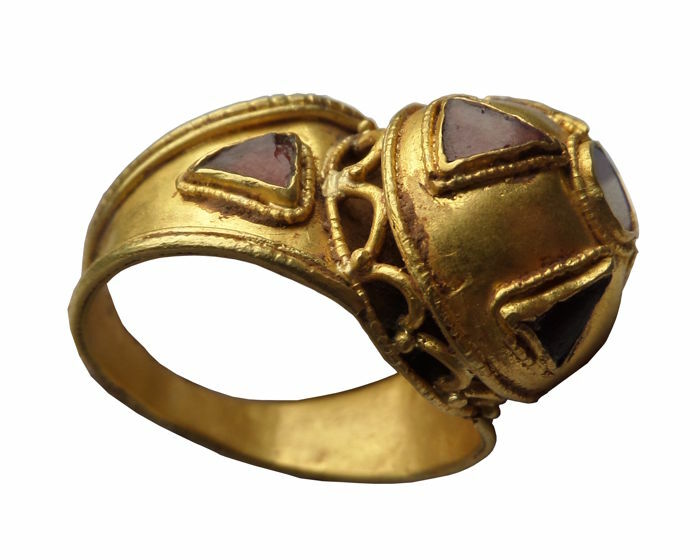 Gold beads punctuate the corners of the archways. 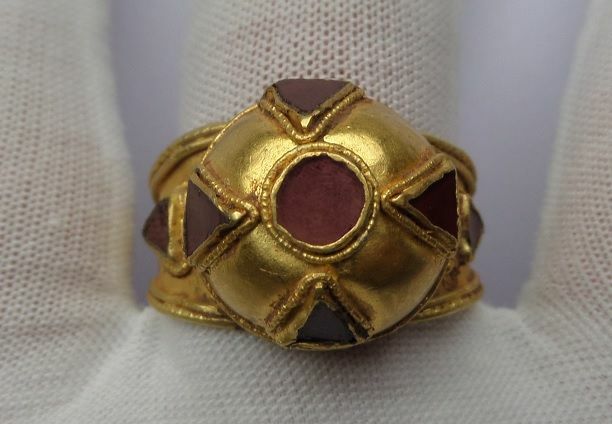 All garnets are dark red color. 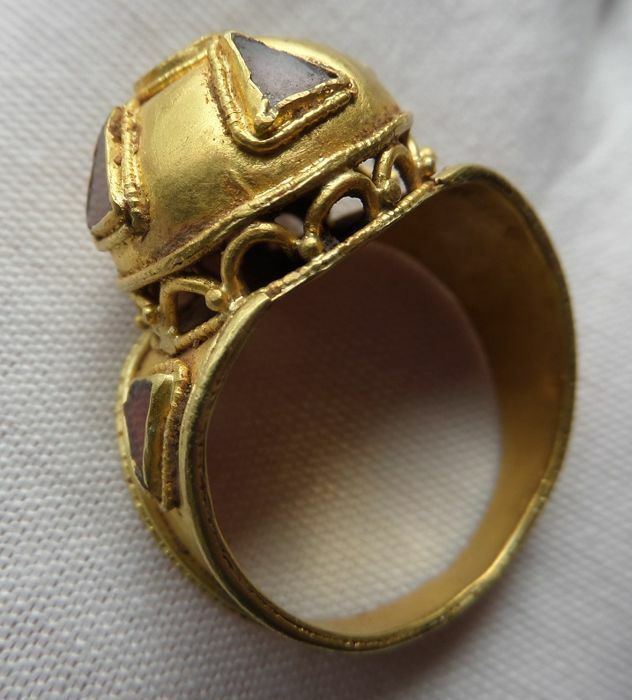 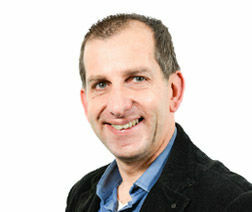 From a Dutch private collection.